Hearing loss can strike at any age. It's often referred to an invisible health condition, and the early symptoms of hearing loss are regularly overlooked. Unlike other types of medical conditions, you can't physically witness the early symptoms of hearing loss. Due to the gradually-occurring symptoms, it’s extremely common for people with hearing loss to grow accustomed to reduced hearing acuity and simply find ways to cope. Simply put, because hearing loss gradually happens, most people do not always perceive they need hearing aids. Usually those with hearing loss are the last ones to know. However, you can use the following information to identify early symptoms of hearing loss. Do visitors to your home say they’ve been knocking on your door for a long time? Do you often have missed phone calls? Both of these are pretty common early symptoms of hearing loss. In both scenarios, you may have your radio or TV turned up louder than usual, which results in you missing knocks, doorbells, and phone calls. If you have to turn your head to position your “good ear” toward the sound source, you may be experiencing an early symptom of hearing loss. Whether it’s the TV, radio, or someone talking, constantly having to direct your ear toward the sound source may indicate the need for a hearing exam. While everyone does this from time to time; if it’s a part of your regular routine, it'll eventually become ineffective. When you’re listening to sounds, do they sound muffled? If you constantly experience muffled sound, it’s an indication something is wrong. If left untreated, the hearing loss could worsen to the point where everything will sound quiet and distorted — similar to your ears being covered. Similar to many other conditions, the first sign of a problem is usually denial. If you become upset when confronted about hearing problems, it’s probably because you’re tired of hearing people say something about it. Fortunately, there's help, and the experts at North Shore Hearing P.C. offer solutions designed to fit your lifestyle — not the other way around. Have you noticed ringing in your ears? Do you find it difficult to follow conversations? Do you have a hard time hearing children and women? Do you ever complain people speak too fast or mumble? Do you experience trouble hearing on the telephone? Do other people complain about the television being too loud? Do you regularly need to turn up the TV? Do you find yourself avoiding noisier place? Are you tired after listening in challenging environments? Are you embarrassed about possibly misunderstanding what other people say to you? People with hearing loss may regularly find it difficult to understand the voices of children and women as well as have a hard time following conversations. Most people who have any degree of hearing loss will complain that people talk too fast or mumble. In many instances, hearing loss is accompanied by tinnitus. While medication, buildup of earwax, hearing loss, and exposure to loud noises can all cause ringing in the ears, far too often it’s caused by tinnitus. The ringing in the ears may be occasional or constant, but it's usually the first sign of hearing loss. 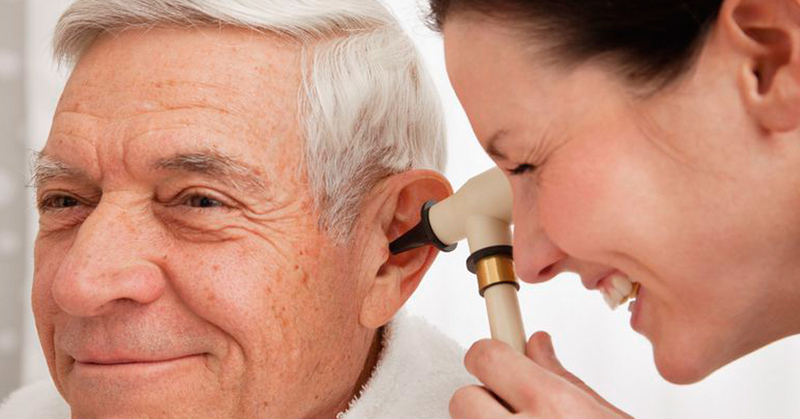 If you’re suffering from hearing loss, you may have a “good ear” and prefer this ear over the other. You may often ask those speaking to you to either speak directly into the “good ear” or stand closer to you. And people with progressed hearing loss may avoid communicating in challenging environments or situations, such as in noisy public spaces or over the phone. If you answered yes to any of the previous questions, your next action should be to contact North Shore Hearing P.C. As your local audiologist and hearing experts, we will first conduct a complete hearing evaluation to determine if hearing loss exists and the degree. Regardless of your degree of hearing loss, we offer effective solutions for all lifestyles, including hearing solutions for athletes, the best hearing aids for musicians, custom hearing molds, hearing solutions for swimmers, and virtually everyone else. If you’re suffering from hearing loss, it can lead to more than deafness, such as dementia, loss of balance, depression, and more. Overtime, hearing loss can and most often continues to worsen. However, you can avoid these unfavorable outcomes and slow the progression of your hearing loss by treating it today. Contact North Shore Hearing P.C. today for a screening and a hearing loss solution by completing our o﻿﻿nline contact form.